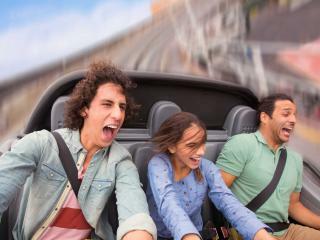 Have the most fun you can have with your Universal Orlando® Tickets and Orlando FlexTickets™, because right next door to Universal Studios® and included in the price of your Universal Tickets is Universal’s Islands Of Adventure®. 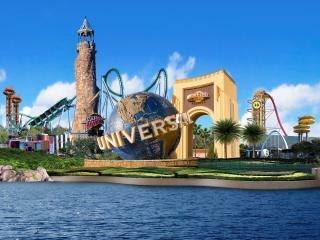 Experience the innovative thrills and unexpected adventures of this unique Orlando theme park. 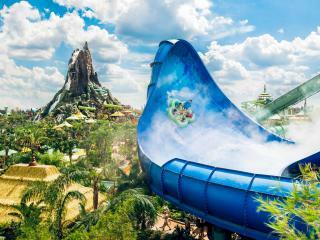 Take a journey through five exciting islands – Seuss Landing™, The Lost Continent®, Jurassic Park®, Toon Lagoon® and Marvel Super Hero Island® - for the world’s most cutting edge rides and attractions. Timeless myths, legends, children’s stories, cartoons and comic books come to life right before your eyes. Battle villains in 3-D on the first-of-its-kind 3-D thrill ride, The Amazing Adventures of Spider-Man®. 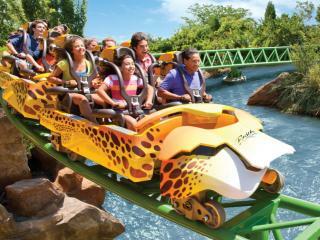 Defy gravity as the Incredible Hulk Coaster® takes you on a high-speed roller coaster rampage. Escape the jaws of a hungry T-Rex on the Jurassic Park River Adventure®. Brave whitewater rapids on Popeye & Bluto’s Bilge-Rat Barges®. Spin through the mischievous world of The Cat in the Hat™. Tackle Duelling Dragons®, the world’s first inverted dueling roller coasters.